After a group of BTXers spent Saturday working in the sun, building a house as part of the Habitat for Humanity project on Freehold's E Street, they refueled at Federici's Pizza. Vini Lopez came to have a few slices as well, and guess who else came to dinner? You got it: Bruce Springsteen. Bruce hung out and chatted with the BTX volunteers, asking more about the Habitat project, talking about the old times with Vini, and even taking care of the tip. Read more and see pictures on the Loose Ends forum of BTX. ...and every other last thing here in the Backstreets offices, as we're now in the process of moving our HQ to the woods of Caroline. Chapel Hill, NC, to be exact. It's been a good four-year term here in Washington DC, but we're trading in the motorcades for mosquitoes, Maryland crabcakes for Carolina BBQ. Not much will change -- just our mailing address, phone/fax numbers, and that's about it. Check our relocation info page for our new contact info and any updates. While the Backstreets office will be closed for the two weeks between July 26 and August 8 while we make the transition, we'll be working all that time to ensure that we can be back up to speed ASAP for business as usual. Our online store will remain open 24/7, we just ask that you allow additional time for delivery. We'll start shipping in the order received just as soon as we're back up and running. Thanks for your patience in the meantime! Patti Scialfa is hitting the promotional trail again this week, this time on the radio waves: on Tuesday and Wednesday catch her on several radio stations in Philly, Baltimore, and Annapolis, doing interviews and live performances. 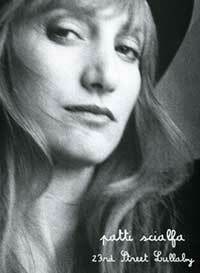 Check www.pattiscialfa.net for details, as well as links to live mp3s. And happy birthday to Patti as well, who turns 51 on July 29. Checking in on the state of the swing-state tour.... planning continues for concerts featuring Springsteen and others to begin in October. No official word yet, but we're getting closer: as of late last week, according to Sunday's Los Angeles Times, "the formal announcement was scheduled for Aug. 4 in New York." "Bruce Springsteen, Neil Young, R.E.M., Pearl Jam and a deep roster of other rock stars will unite for politically minded concerts this fall that will give voice to dissatisfaction with the Bush administration. "The all-star rock shows, which are expected to begin in October and target campaign swing states, are in the planning stage but were confirmed by half a dozen music industry sources who spoke on condition of anonymity. "Other artists expected to join the lineup include [Steve] Earle, the Dave Matthews Band, the Dixie Chicks, Bright Eyes, Ani DiFranco, Death Cab for Cutie and International Noise Conspiracy. There also are reports that Bob Dylan and James Taylor may be part of the bill." If you're worried about all those acts taking up precious Boss Time, fear not: rather than all the artists being on the same bill, sources tell Backstreets that numerous concerts will likely take place throughout each state on a given night, with different artists in various venues/cities. How about Bruce and R.E.M. for starters? Could be the beginning of the tour as we'll know it-- and we feel fine. More as it comes in. Even as we gear up for our office move, we're putting the finishing touches on the Summer 2004 issue of Backstreets Magazine, which is going to press in a matter of days. Issue #80 features the Backstreets Interview with Patti Scialfa, and, to celebrate the 50-year mark since Elvis Presley's first recording, a huge feature looking at the Boss and the King. Plus: interviews with Gary U.S. Bonds and Marah, Springsteen's recent appearances (onstage and off), and more. If you dig Backstreets.com, we hope you'll support Backstreets and get a Boss magazine at the same time. Don't miss this one: Subscribe now to guarantee yourself a copy of the new issue and the ones to come! Already a subscriber? If you've been meaning to renew or change your address, now's the time. If you've moved, it's important to change your address with us -- the post office isn't required to forward Periodicals mail, so don't miss an issue: use our handy online change-of-address form before you forget! IT CAN'T GO ON! CAN'T GO ON! CAN'T GO ON! At the Joe Grushecky & Soozie Tyrell show at the Stone Pony on Saturday night, a certain Jersey Shore special guest was in the house: Madame Marie! Nah, just kidding -- MM is indeed back on the scene, but it was Springsteen who took the stage for an hour-and-a-half rave-up. For his first performance of the summer, after hanging out offstage with Sean Penn (the two reportedly attended soundcheck together), Bruce joined in midway through Grushecky's set for "Never Be Enough Time." Springsteen and the E Street Band paid tribute to the late, great Warren Zevon last fall in Toronto with a performance of "My Ride is Here" -- and that Rising tour performance will soon be part of an official Zevon tribute album. Slated for the fall on Artemis, the album is co-produced by Zevon collaborator Jorge Calderon and Warren's son Jordan. The tributee even had a heads-up, as Calderon told the L.A. Times: "I even spoke to Warren about it, and he was totally, 'Not while I'm still here.'... But we already had the idea between Jackson [Browne] and myself and Artemis." Also paying respects will be Browne, the Pixies, Steve Earle, Don Henley, Adam Sandler doing "Werewolves of London" (! ), and Bob Dylan doing "Mutineer." Rumors have been swirling that Springsteen plans to hit the road in just a few months. The International Herald Tribune, in an interview with James Taylor, mentioned that "performances in swing states with such acts as the Dixie Chicks, Bruce Springsteen and Bon Jovi are planned." Cindy Adams' gossip column in the July 13 New York Post reported that Bob Dylan and Bruce Springsteen are planning a 30-city tour together. Of course, the Post is also the paper that announced the wrong running-mate for John Kerry on their front page. We think Cindy's got this one wrong, too. Backstreets does its best not to trade in rumors -- we'd prefer to be your Skeptical Eye for the Boss Guy. But for the sake of fair warning, let's separate fact from fiction: something does seem to be in the works. Several sources tell Backstreets that Springsteen is planning shows in October with the E Street Band, likely a short string of concerts with additional artists on the bill. With details in flux, and nothing guaranteed, we'll be looking for an official announcement to set things straight and give the full scoop. But for now: Dylan? Doubtful. 30 dates? Highly doubtful. Keeping the first two weeks of your October free? Not a bad idea. Update: Further murmurings from the Detroit Free Press (which quotes Springsteen spokesperson Marilyn Laverty: "There has been discussion of Bruce doing some shows, but nothing is firm.") and the Arizona Daily Sun... we'll keep you posted on what shakes out. REMINDER: DON'T FORGET "OUT ON THE WIRE"
Just in case you haven't scrolled down in a while... When there are Bruce stories, comic strips, related articles, etc., out on the web that don't qualify for the Backstreets news page, we add links under "Out on the Wire" in the column at right. We don't mean for "Out on the Wire" to be under the radar... be sure to scroll down and check it out. The latest addition, a News Transcript story about Springsteen's visit to Michael Antrim, is a great read. 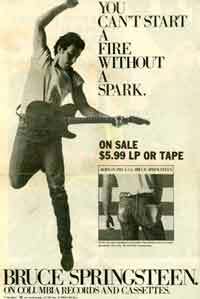 The last of his home videos to make the DVD switch, Springsteen's 1992 In Concert: MTV Plugged has been available only on VHS and laserdisc since its 1993 release. Both formats are currently out of print -- but it's finally coming to DVD this fall. 1992-'93 Band detractors may roll their eyes, but "Living Proof" alone makes this one a keeper. This first release of "Light of Day" still rocks, and acoustic junkies get "Growin' Up," "Thunder Road," and "Red Headed Woman." Look for the DVD release of Plugged in September in the UK, and October in the US. No extras are planned, but if anybody involved is listening: we hope the DVD will at least present the laserdisc version, which added "Roll of the Dice" to the VHS track listing. THIS TRAIN CARRIES... WINNERS? LOSERS? As John Kerry took the stage yesterday to announce John Edwards as his running mate, it was to the sound of Springsteen. Thankfully not "Born in the U.S.A.," but the arguably more apropos "Land of Hope and Dreams." As political themes go, it's semi-obscure -- how many people besides Springsteen fans know that song? Perhaps a few more will if they try to make it the "Don't Stop" of this year's campaign. Of course, Edwards did name The Essential Bruce Springsteen as his favorite album, and Kerry picked "No Surrender" as his favorite song. The Kerry/Edwards campaign's official stance on whoring and gambling has yet to be clarified. Little Steven will cap his Underground Garage Battle of the Bands series with one serious mother of a show, the International Underground Garage Festival, August 14 on NY's Randall's Island. Dig just some of the lineup: Iggy & the Stooges, the Strokes, the New York Dolls, the Raveonettes, the Mooney Suzuki, Bo Diddley... and a whole lot more (including the winner of the nine-city Battle), for a day of non-stop garage rock from 10 a.m. to 11 p.m. Tickets are available now through Ticketmaster, or head to littlesteven.com for more info. In the meantime, check out Steve's new Underground Garage channel launching today on Sirius Satellite Radio, channel 25. Almost six years to the date from when they started trying to save Tillie, the group of Springsteen fans who rescued the Asbury Park icon off the Palace walls just ahead of the wrecking ball are havin' a party, with JoBonanno & The Godsons of Soul headlining the bill. The "Celebrate Tillie" party promises to be a good ol' fashioned night of infectious high energy rock and soul, and you can't beat the price: $10 a person, tickets sold at the door. Mark July 24th on your calendars and head on down to Lance and Debbie's Wonder Bar at Ocean and 5th Avenues on the Asbury Park waterfront. As always, chcek out our concert calendar for other upcoming "friends & family" shows like this one. Start the holiday weekend by raising a glass to Professor Roy Bittan, who turns 55 on Friday, July 2... and have a happy and safe Independence Day! Patti Scialfa was all over the airwaves a couple weeks back, but you could only catch a song here and a song there. This month, the only full show she has played for 23rd Street Lullaby is airing as an 88-minute "Freeview" special on DirecTV. Filmed at her April showcase at the Hit Factory in New York, this concert was the debut of her full band (including Nils, Soozie, and Steve Jordan), with Springsteen making a guest appearance as well. The broadcast is available to DirecTV subscribers throughout July as part of their Freeview Concert Series -- every Friday, Saturday and Sunday this month on channel 103, premiering July 2. If you don't have DirecTV, check Music Choice for a listing of airings on cable, through July 11. Patti Scialfa's Early Show gig, taped a couple weeks back and originally scheduled to air in July, has been bumped up to Wednesday, June 30. Again featuring Nils Lofgren and Soozie Tyrell as part of her band, this was the longest performance of her NYC promotional blitz, with a Backstreets-heavy crowd in attendance to root her on. That's tomorrow on CBS -- The Early Show airs from 7-9 a.m.; check local listings to be sure. Springsteen meeted and greeted (met and gret?) outside Antic Hay Books on Saturday, June 26, where a throng of fans gathered for his first-ever book signing. The Incident on Cookman Avenue continued as Bruce spent much of the afternoon inside taking photos and signing copies of Songs for 200 lucky contest winners. He even raised a glass, after one fan brought a bottle of whiskey to share. Proceeds from the sale of Songs went to benefit the Merchants Guild of Asbury Park, which sponsored the contest. We'll drink to that. Urging Bruce to headline a show on the night of the G.O.P. Convention at Madison Square Garden, an ambitious promoter has reserved Giants Stadium in hopes of putting on a September 1 "Concert for Change." Andrew Rasiej's online "Draft Bruce" campaign seems to be picking up steam... in the press. Springsteen himself hasn't taken the bait, and we'd imagine the chances are as good as that 2002 Springsteen for Senate push. The Boss might indeed have politics on the mind -- see his recent news updates on brucespringsteen.net -- but drafting Bruce never seems to work out well. Update: As MTV News reports, "A spokesperson for Springsteen said on Tuesday that the singer will 'definitely not' play any concerts tied to either the Democratic or Republican conventions." 53 and still rockin': Happy Birthday to Nils Lofgren, born June 21, 1951. Springsteen ranked in the top ten on Forbes' new Celebrity 100, coming in at number eight -- one notch ahead of Steven Spielberg -- on their annual "power" list. Forbes' recipe: "Start with money. Add fame. Mix. We rank the relative star power of actors, athletes, singers and talking heads -- how much they earn and how many people are paying attention." Bruce is up 18 notches from last year's #26, and that's a whole lotta star power for a year-plus after The Rising (the list covers June 2003 through June 2004). Still, there's no way he'll catch J.K. Rowling without putting out a new album. Or directing a bloody religious movie. We'd vote for a new album. A late addition to Patti Scialfa's release-week schedule: an in-store signing at the same Red Bank, NJ, record shop where Bruce made a surprise appearance for the LINYC release back in 2001. Capping a very full week in support of 23rd Street Lullaby, she'll be meeting fans and signing copies of the album at Jack's Music Shoppe, 30 Broad Street, on Friday, June 18, at 6 pm. All of our slots have been filled for our "meet & greet" with Patti Scialfa, and the offer below is now closed. We'll be sending email confirmations to the winners by Monday night. We wish we could get everyone in who submitted an entry... but remember, just because you weren't one of these 50 doesn't mean you can't still attend Wednesday's taping for the CBS Early Show: the studio has room for 200 additional audience members, and they'll be filling it on a first-come first-served basis. Other free Patti events in NYC are the Today Show outdoor performance on Tuesday morning, and the Tower Records in-store signing on Tuesday afternoon. See further down this page for her full schedule of signings and shows. We've also just added 23rd Street Lullaby to our online shop -- order your copy through us, and support Patti and Backstreets at the same time! With a band including E Streeters Nils Lofgren and Soozie Tyrell, Patti Scialfa will be all over NYC and all over the airwaves this coming week, supporting her new album. What CBS television show featured two different Patti Scialfa songs last season? If you'd like to join us, email your answer to 23rdst@backstreets.com. Include the answer to the question in your subject line, and your name and address in the body of the email. The first 50 people to respond correctly will get admission to the CBS Early Show taping, a free promotional lyric booklet (pictured above), and the opportunity to say hi to Patti at the Backstreets-only meet & greet after her performance. Bear in mind: This event is in the middle of the day, on Wednesday the 16th -- fans should plan to arrive by 11 a.m., for a noon performance. Please only respond if you're sure you can make it, as we'd like to help as many fans as possible get in the door and show their support. June 13 update: This offer is now closed... thanks to everyone who e-mailed, we got a great response, and we'll be sending email confirmations to the winners by Monday night at the latest. We just lost one of the greats. Ray Charles, recently ranked at #10 on Rolling Stone's list of "Immortals," died today at the age of 73. Charles and Springsteen sang together on "We Are the World" in 1985. The two also happened to share a September 23rd birthday-- one "Born to Lose," one "Born to Run," born 19 years apart. Farewell, Brother Ray. New album news? Well, in a way... but not what you might think. To nip any potential giddiness in the bud, the forthcoming Bruce Springsteen: The Collection is a not a "Tracks II," but another repackaging of three Springsteen albums from the '70s (Greetings From Asbury Park, NJ; The Wild, the Innocent & the E Street Shuffle; and Darkness on the Edge of Town). All three CDs, with their original CD booklets, will be housed in a box-set-sized "collector case." No remastering here, just an updated package for this value-priced three-fer (previously housed together in a smaller white box), as part of a new line of similar Collections from Sony. Also in the "Not So Fast" category: tickets are on sale now for the Max Weinberg 7's holiday shows in December -- should be a great night out, but bear in mind, there's no reason to think these have anything to do with Bruce or the Asbury Park holiday show tradition. Max's band has scheduled two holiday shows of their own at B.B. Kings in New York, both on December 11, at 8 pm. and 10:30 pm. Tickets are available now at Ticketmaster.com, and as always, you'll find shows like this listed on our concert calendar page. Patti Scialfa's second album, 23rd Street Lullaby, hits the street next week, and the red headed woman is ready to rumble in support of it. On June 15, the day of the release, she'll be doing an in-store signing at Tower Records in Manhattan (1961 Broadway, at 66th Street) at 6 p.m. Same day as the album release -- sound familiar? An outdoor performance at Rockefeller Center, broadcast live, fans are encouraged to attend. "Today" begins broadcasting at 7 a.m., but Patti's performance (two songs) will be in the 8:30 - 9:00 a.m. timeslot, so plan to arrive between 7 and 8:30 (at the latest). New time/location: An indoor concert at the CBS studios at 530 West 57th (between 10th and 11th), to be taped for later broadcast. Fans should arrive by 11 a.m. for a noon performance of three or four songs. The studio holds roughly 250 people -- first come, first served! 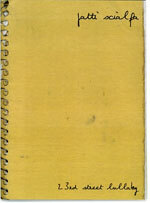 Broadcast of the performance taped on 6/16. A Direct TV/Music Choice special is also in the works for July, with live footage taken from her April 18 showcase performance. 23rd Street Lullaby was co-produced by Scialfa and drummer Steve Jordan (Keith Richards, Robert Cray), with musicians including fellow E Streeters Nils Lofgren and Soozie Tyrell. "Even my husband did a few things here and there," says Patti; look for Springsteen on several tracks. See below for track listing. But wait, there's more: the initial pressing of 23rd Street Lullaby will be packaged with a bonus audio CD containing three live tracks: "23rd Street Lullaby" (live), "Spanish Dancer" (live), and "As Long As I (Can Be With You)" (live). It's not often that Bruce himself posts on his official website; the last online "Message From Bruce Springsteen" came more than a year ago, with his April 2003 support of the Dixie Chicks. Today, with Election Day now less than five months away, Springsteen's voice returns to the site, offering the text of a recent Al Gore speech in its entirety and describing it as "one of the most important speeches I've heard in a long time. The issues it raises need to be considered by every American concerned with the direction our country is headed in. It's my pleasure to reprint it here for my fans." Read more at www.brucespringsteen.net. Springsteen, the one-man Chamber of Commerce. Once again Bruce is encouraging shoppers to come to Asbury Park, this time with a chance to attend his first-ever book signing. 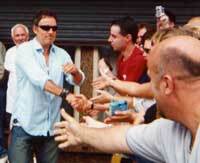 For 200 contest winners, Springsteen will sign copies of his Songs book at Antic Hay Books on Saturday, June 26. The book signing is sponsored by the Merchants Guild of Asbury Park, and profits from the sale of Songs will go to benefit the Guild. For a chance to be one of the lucky 200, enter the free contest at participating Asbury Park businesses during the city-wide Salt-Water Weekend; the contest runs from Wednesday, June 16 through Sunday, June 20. Visit the City of Asbury Park's website for more details on the Salt-Water Weekend, the contest, and a list participating merchants. While Bruce Springsteen's 2003 benefit shows for DoubleTake Magazine may not have been enough to keep it going uninterrupted (it's been "on publishing break" for a year or so) the documentary magazine will soon return as a bi-monthly. We're glad to see Dr. Robert Coles' exceptional publication making a comeback, and once again Springsteen will be pitching in to help the effort. Starting Monday, June 7, and running through June 15, DoubleTake will hold a celebrity charity auction to benefit their 2004 relaunch, with Springsteen contributing an autographed Fender guitar. It's a 1998 reissue of the 1952 Fender telecaster, from Bruce's personal collection, to be signed as the winning bidder specifies. Check out doubletakemagazine.org and charityfolks.com for more details on "The DoubleTake Auction: Real Life. Real People. Surprising Stories." Clarence Clemons and Dr. Meng "Gina" Yanhong were pronounced Big Man and Wife, on May 30 in the bride's hometown of Fushun City, China. Read more in the Palm Beach Post. Mazel Tov! One score years ago, Bruce Springsteen brought forth on this continent a little record called Born in the U.S.A. (And we do mean record, not CD.) Yes, this week -- specifically Friday, June 4 -- marks 20 years since Springsteen's radio-ready follow-up to Nebraska, since the bandwagon started rolling, since the buttshot heard 'round the world captivated an icon-hungry planet. By the end of June 1984 the album would reach number one, Arthur Baker would remix "Dancing in the Dark," and the soon-to-be-massive Born in the U.S.A. tour would debut in the heartland. And now: the "new kids" in the E Street Band are 20-year vets (gold watches go to Nils Lofgren, joined 5/15/84, and Patti Scialfa, joined 6/25/84), and all of us are a full generation burnin' down the road. Feeling old yet? But after the album's seven Top Ten singles and over 24 million copies sold worldwide, Springsteen continues to imbue songs like the title track with new life, from acoustic blues to stadium-rattling blowout. Little ol' Courteney Cox has done pretty well for herself too. Long may you run, BUSA, long may you run. This month, after runs in Minneapolis, Detroit, and Seattle, the "Springsteen: Troubadour of the Highway" museum exhibit will make its New Jersey debut. The multimedia exhibit, which focuses on the recurring theme of cars and highways in Springsteen's music, will spend the summer at the Newark Museum, from June 17 through August 29. Along with video and memorabilia, over 70 photographs are part of the exhibit, including many by Pamela Springsteen, as the first major museum showing of her work. For more information, visit www.newarkmuseum.org. Crack open a cold one, summer's just around the corner... A couple things on tap on E Street this Memorial Day weekend: Tonight (Friday, May 28), Little Steven will be a guest on NBC's The Tonight Show. And on Sunday May 30, the Stone Pony kicks off their summer with a bill featuring Nils Lofgren (on the outdoor Budweiser Summer Stage), Gary U.S. Bonds (inside at night, celebrating the release of Back in 20), Vini Lopez, and more. Tickets are available through Ticketmaster. For more Memorial Day music and other upcoming shows, see our concert calendar. Have a happy and safe long weekend! "Beyond the Palace," as Springsteen sings, is about to take on new meaning. On the morning of May 26, demolition began on the Palace Amusements complex in Asbury Park, NJ, immortalized in Springsteen's "Born to Run." The Palace (along with adjacent Lyric Theatre and Talking Bird restaurant) is being razed to make way for a hotel, retail and entertainment facility planned by Asbury Partners. Demolition began suddenly with the carousel house -- both the oldest and best preserved section of the Palace, constructed in 1888 and opened in July of that year. The structure was a classic example of Victorian architecture, and housed one of the world's largest carousels, carved by the famed Coney Island carousel designer Charles Looff. The demolition came unannounced, one night after a membership meeting of the Asbury Park Historical Society was called to consider last minute preservation strategies. The demolition process is expected to take three weeks, including removal and preservation of portions of the building's exterior. Two painted murals -- one of bumpercars and one of "Tillie," the namesake of the Save Tillie organization that worked to preserve the landmark -- will be chiseled off and saved, in addition to dozens of other artifacts from the building's interior. Photo by lewisbloomphotographs.com. To see more, click here. Visit the Save Tillie website for more info and photos. "Plans call for Rose Hill to spend about a month in Atlanta, then head back out on the road for a string of dates on the Vans Warped Tour. Come August, the band members are slated to return to Southern Tracks to finish the record -- but they can't hang around too long, since Springsteen is scheduled to drop by later in the summer to begin work on his next effort." No second acts in American lives? How about third acts? 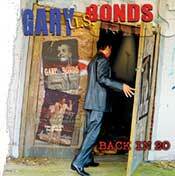 Gary U.S. Bonds is back, baby, with his second comeback, two decades after his first. Back in 20, his first studio album in as many years, is due on June 1, with Springsteen guesting on the opening cut ("Can't Teach an Old Dog New Tricks"). Bruce contributes guitar and vocals. Southside Johnny's on there too, on three tracks. Order now from Backstreet Records, at a special pre-order sale price! And look for Gary playing live in support of the record, including a shared bill with Nils Lofgren at the Stone Pony (May 30) and with Southside Johnny at B.B. King's in NYC (June 17 & 18). For more dates, see our concert calendar. Could Bruce Springsteen be plotting to rain on the Republicans' campaign parade? Democratic operatives are buzzing that the Boss has been talking about staging a free concert somewhere on Sept. 2, when President Bush is due to address the Republican National Convention. Besides getting out the vote, Springsteen hopes to provide "counterprogramming to the message the Republicans will be broadcasting," says a source. A spokeswoman for Springsteen would only say, "There are no confirmed Bruce shows for 2004." WELL, I GOT THIS GUITAR... AND YOU CAN WIN IT! Just a reminder, only five days left for a shot at a signed guitar from Springsteen... Bruce has donated a guitar to the Community FoodBank of New Jersey, and if you donate to the organization, you have a chance to make it your own. Head to www.njfoodbank.org for details on how to purchase raffle tickets for a chance to be the lucky owner of a guitar to be signed by Bruce. The winning ticket will be drawn at the Foodbank's Blue Jean Ball on May 15. Laurel Lopez, wife of original E Street Band drummer Vini "Mad Dog" Lopez, passed away in mid-April; already, friends have come together to help the Lopez family. The "MAYDAY FOR MAD DOG" benefit fundraiser in Laurel's honor is set for May 2 at the Headliner in Neptune, NJ. Confirmed performers on the bill so far include Steel Mill Retro (featuring Vini himself), The B Street Band (A Tribute to the Boss), Runaway (The Bon Jovi Tribute), Jobonanno, Boccigalupe and the Bad Boys, Joe D'Urso, Glen Burtnik, Lance Larson, and Sonny Kenn. The show is rain or shine, with two stages (one inside and one outside); admission is $10. For more information, contact Anthony Amato at BMA Entertainment, at tonybmaent@yahoo.com. Note the time change: Doors are now at 3:30 p.m., with music to start at 4:00. Also present at the Headliner will be the Jersey Shore Music Association, a new non-profit group unveiling the recently discovered Tom Potter Photographic portfolio. Potter, owner of the Upstage in Asbury Park from 1967 through 1971, was an avid photographer, and he captured the action onstage and off. Thousands of photos from that period (handed down to Potter's granddaughter Carrie, a JSMA founding associate, who recently uncovered them in the attic) include never-seen historical shots of Bruce Springsteen, Southside Johnny, Little Steven, David Sancious, Garry Tallent, Danny Federici, Robbin Thompson, Vini "Mad Dog" Lopez, Bill Chinnock and a host of other Jersey Rockers. The present JSMA objective is to restore, preserve, archive, develop and transfer to DVD the historical assortment of images, and to ultimately house the collection in a museum dedicated to promoting Asbury Park's Rock 'n Roll history. JSMA has designed exclusive T-shirts for the May Day for Mad Dog benefit which can be purchased on May 2. For more details, keep your eye on the website in progress at www.jsma.org. It was 28 years ago tonight, after the 4/29/76 E Street Band show in Memphis, that Springsteen famously jumped the Graceland fence in an attempt to meet the King. With 2004 marking the 50th anniversary of Elvis Presley's first recording, we'll have more Boss/King goodies in the summer issue of Backstreets magazine.... subscribe now! Okay, it's actually at Pittsburgh's Benedum Center, where the Pittsburgh Ballet Theatre debuts "Springsteen & Seeger" tonight. This "celebration of artists with unique social perspective” includes a new ballet set to the music of the Boss, and the return of an "audience favorite" set to the music of Pete Seeger. Local hero Joe Grushecky will perform at intermission; read more in the Pittsburgh Tribune-Review and Post-Gazette. The program runs from April 29 - May 2, with tickets are available online at www.pbt.org. Bruce Springsteen and Patti Scialfa spent much of the weekend focused on favorite causes. On Saturday night, they attended the Kristen Ann Carr Fund's annual spring semi-formal at New York's Tribeca Grill. The following night, Sunday April 25th, brought them back to the Stone Pony stage for what has become an annual event benefitting the Rumson Country Day School. For the third April in a row, Springsteen played a private fundraiser at the Pony, twisting and shouting the night away for a small group of RCDS parents and teachers. Bruce's set was heavy on the '60s soul as usual, with a smattering of originals mixed in: "Hungry Heart," "Darlington County," "From Small Things" "Glory Days" and "Tenth Avenue Freeze-out." As in years past, Bobby Bandiera took care of the house band duties, adding Jukes horns Eddie Manion, Joey Stann, and Chris Anderson. Patti took lead on one song ("Tell Him"), with Southside Johnny in the building for "Havin' a Party" in the encores. At the big Sony sales meeting this week, much of the excitement revolved around Prince's presence in the building. But to us (with all due respect to the purple one), the big news regards the Artist Currently Known as Springsteen. As an industry source tells Backstreets, label sales reps have just been informed by Sony that a new studio album from Springsteen is planned for later this year -- that's right, a mere two years and change after The Rising. No further details at the moment -- no title, no release date, no recording info (though word has it that Bruce has been logging hours in his home studio this year). And as always, we've gotta maintain a believe-it-when-we-see-it outlook when it comes to a new Springsteen record (he's changed his mind before). But according to the ones who'll be selling his Rising follow-up, it's not too much further up the road. On Sunday, April 18, Patti Scialfa performed for a small audience at the Hit Factory in New York, airing songs from her forthcoming 23rd Street Lullaby for the first time. Cameras were rolling, filming the hour-and-a-half set for promotion purposes as the album's June 15 release approaches. With a full band including Nils Lofgren on guitar, Soozie Tyrell on fiddle, Jane Scarpantoni on cello, Steve Jordan on drums (as well as additional guitar, bass, keyboards and backup vocalists), Patti focused mainly on the new material, playing most of the songs from the new album -- including "Rose," "City Boys," "Yesterday's Child," "Stumbling to Bethlehem," "Each Other's Medicine," "State of Grace," "Young in the City," "Chelsea Avenue," and two takes on the title track. She did touch on her first album, Rumble Doll, with "Spanish Dancer" and "As Long as I (Can Be With You)." 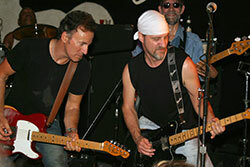 For the latter, as well as the new "Love (Stand Up)," Springsteen joined her onstage on guitar and backing vocals. (There were two shows on Sunday, an afternoon "rehearsal" and an evening performace, and Springsteen guested on the same two songs at both shows.) Scialfa also dedicated a song to Kristen Ann Carr, who would have celebrated her 33rd birthday that day. Barbara Carr and Dave Marsh were among the attendees -- about 100 people in all, in a cabaret setting -- also including contest winners (from her new website, www.pattiscialfa.net), Jon Landau, Bill Flannigan, Toby Scott, and Don Ienner. No word yet on how extensive Patti's plans will be for promoting the record -- and whether the great Nils Lofgren will be backing her on a regular basis -- but it looks like Max Weinberg might take a turn too: according to rockontv.com, Scialfa is booked on Late Night with Conan O'Brien on June 17. One more year gets notched on the drumsticks of Mighty Max Weinberg, now 53, born 4/13/51. THIS IS NOT WHAT HE MEANT BY "THUNDERCRACK." Here's a PETA ad you won't see. According to MSNBC.com, People for the Ethical Treatment of Animals had a change of heart about running an "Obese in the U.S.A." ad: "'The ad was intended to parody the sad shape a meat-addicted America has taken since this classic album came out 2 decades ago,' PETA execs wrote in a memo. 'But Mr. Springsteen’s management felt that people might think we are spoofing Bruce himself, which was never the case.' Out of deference to the Boss, who has a pro-animal history, PETA is yanking the ads." NEW FILM CLOSES WITH "SINALOA COWBOYS"
The Gatekeeper, now playing in New York and L.A., is a new film about a Border Patrol agent who has a change of heart -- which may seem familiar to anyone who's heard Springsteen's "The Line." Bruce actually donated the use of a (different) Tom Joad song "because of his own personal concerns over migrant issues": "Sinaloa Cowboys" plays over the movie's closing credits. Check out www.gatekeeperfilm.com for current screening locations and other details. Also on the silver screen, two Springsteen songs turn up in Kevin Smith's Jersey Girl: "My City of Ruins" during the film, and Bruce's live cover of Tom Waits' title track at the end. Watch Steve Van Zandt on tonight's Jimmy Kimmel Live (ABC, 12:05 a.m.) with musical guests the Chesterfield Kings. Patti performed "Rose" and "Love (Stand Up)" at Holiday Shows in 2000 and 2001; "Romeo" was used in the 1998 Ed Burns movie No Looking Back. No word just yet on who might have guested on 23rd Street Lullaby, but in any case Patti fans can finally exhale. SHOPPING CART TROUBLE? THIS SHOULD HELP. If you’re using a PC with Internet Explorer 6 as your browser, you might have had trouble with the shopping cart in our online store, as well as at other stores on the web. The good news is that Microsoft has acknowledged the problem, and there is a solution. Visit Microsoft’s Download Center for an IE6 update that should take care of it. This fix is not yet part of any automatic updates from Microsoft, so it has to be done manually. And of course if you’d rather not deal with such things, you can always order from Backstreet Records the old fashioned way, by calling us at (202) 232-2677. For campaigners in search of a Boss theme song, the SF Chronicle provides a reality check. Winning design of NJ 9/11 memorial titled "Empty Sky." Goin' to a go-go: Little Steven's Int'l Underground Garage Festival set for August 14. "How the Boss Recaptured the Flag" in the Toronto Star. "Streets of Philly" beats "Good Ship Lollipop"! Bruce at #68 on the AFI 100 Songs from films. Patti in the news: USA Today, National Post (Canada), The Guardian (UK), Asbury Park Press, Salon.com, and on BBC Radio 2, interviewed by Johnny Walker, on June 24. No, they don't want him in the Army... draftbruce.com has bigger plans. Illusion vs reality in the Reagan (and BUSA) Era, on CNN.com. Check out the Asbury Park Press interview with Barbara Dinkins, early backing vocalist for Bruce. Nick Hornby in the New York Times on Marah, and rock 'n' roll past and future. Bruce helped put Tim Russert through college? Check out the Springsteen Special Collection page for more info, now celebrating the milestone 2,000th donation.